How many more jihadists and Chadian fighters need to die before all of Deby’s past sins are forgiven? Although the work I’m doing now in Cameroon is not directly related to the Chad-Cameroon pipeline, I’m getting updates on the pipeline as possible. Last week I had a meeting at the Ministry of the Environment and Conservation and learned that Cameroon is once again trying to renegotiate the transit fees it receives for pipeline use. 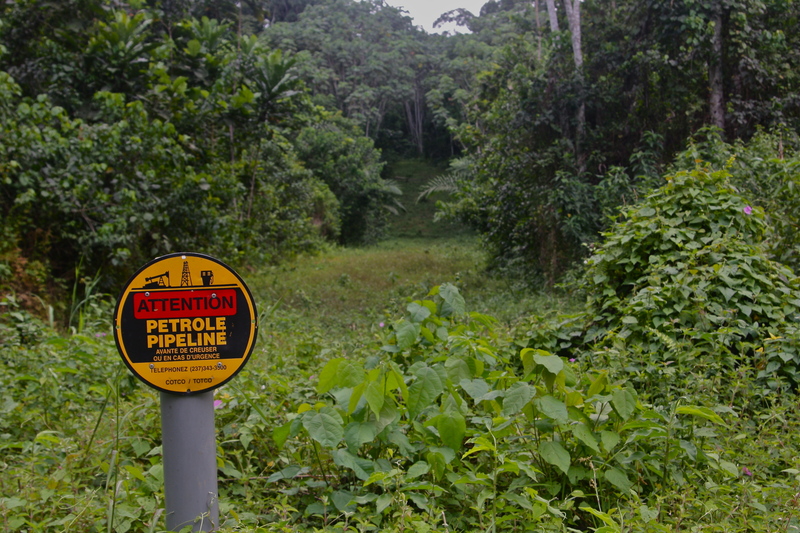 Although most of the pipeline is in Cameroon, which means that most of the environmental risk is in Cameroon, the country benefits only minimally from the operation. Most of Cameroon’s revenues from the project come in the form of transit fees collected on the oil pumped through the pipeline. Even at the time of signing, the rate (41 cents per barrel) was low and to add insult to injury, the transit fee isn’t indexed to inflation or to the cost of oil. Steve Coll’s new book, Private Empire: ExxonMobil and American Power, is out and Democracy Now! has an extensive interview with him about Exxon’s dirty dealings from Indonesia to Nigeria and Chad. Chad, of course, is a benighted country—today about 181st out of 187 countries in the human development index kept by the United Nations indicating quality of life. Life expectancy there is still below 50 years. But it has oil. And its authoritarian leader, to put it politely, Idriss Déby, decided to try to develop this oil, even though Chad was landlocked and didn’t have any national capacity to build an oil company, so they invited in Exxon and the World Bank. And they undertook this experiment, really without precedent, to require Chad to use its oil profits for the good of its people, spending on education, health and social development. And Exxon was a participant in this and described it as potentially a new model to address the resource curse in Africa, where countries that are rich in minerals but try to develop through the sale of those minerals often fail to serve their people very well. So this was a kind of a grand experiment. And it failed. Today Chad is facing a food crisis. 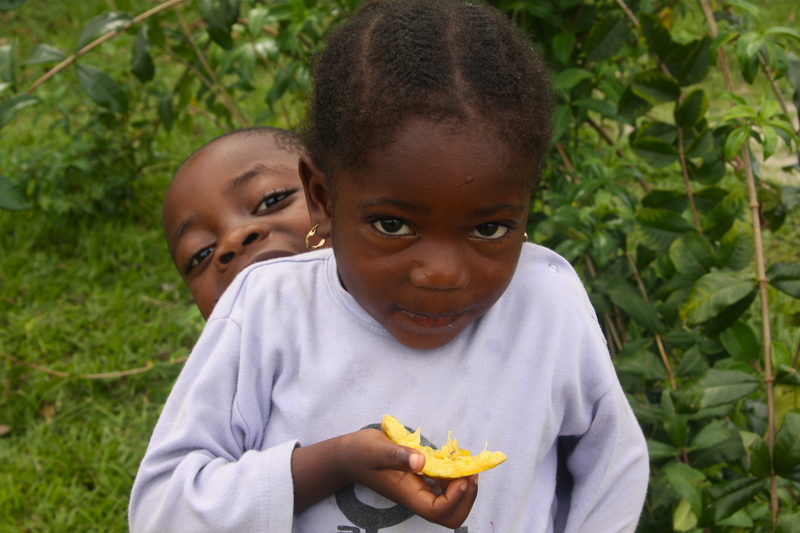 An alarming number of people are hungry and sick in the northern part of the country. The Guardian ran a story recently on the dire situation, Chad’s malnourished children offer stark illustration of Sahel food crisis. Strangely, the article doesn’t mention the fact that Chad is an oil producing nation with sizeable oil revenues. Chad earned more than US$2 billion in 2011 from the ExxonMobil Doba fields project. As I’ve reported, by 2008 Chad had already earned more than US$8 billion from the Chad-Cameroon oil development project. China is also drilling and refining oil in Chad. I don’t have figures for Chad’s earnings from Chinese drilling, and the Chinese-built and 60% owned refinery has been mired in conflict since it opened in June 2011. But the point remains: Chad has oil revenues, but apparently there’s not enough money to deal with the food crisis. Kilometer Point Zero of the Chad-Cameroon oil pipeline. Kome, Chad. Esso Chad file photo. Over the past few weeks I’ve been scrutinizing documents on the safety and oversight of the Chad-Cameroon pipeline. As I wrote in an initial blog post, the ruptured ExxonMobil pipeline and subsequent oil spill in the Yellowstone River in Montana got me thinking about similarities with the ExxonMobil pipeline that crosses no fewer than 17 major rivers in Cameroon. I then wrote a follow-up post on pipeline oversight (or lack of). So I was thrilled when I found out that Oxfam America was preparing a new report on the monitoring of controversial oil and gas projects featuring the Chad-Cameroon pipeline as one of its case studies. 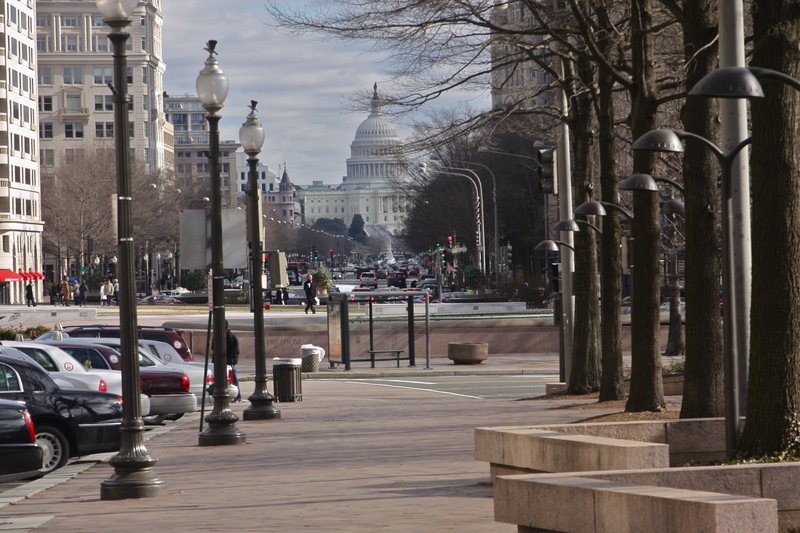 The report, Watching the Watchdogs, was launched yesterday in Washington, D.C. Among the speakers at yesterday’s panel were Jacques Gérin and Nadji Nelambaye who were both involved with monitoring the Chad-Cameroon pipeline. Sep 30, 2011 | Categories:Chad-Cameroon oil pipeline, Oil, World Bank Group | Tags: Cameroon, Chad, Chad-Cameroon oil pipeline, ExxonMobil, oil, Oxfam America, World Bank | Comments Off on Pipeline oversight: Are independent monitoring panels effective, truly independent? I recently wrote about ExxonMobil’s July oil spill in Montana and what lessons the Yellowstone River accident may have for Cameroon. The same day an article in The New York Times, Pipeline Spills Put Safeguards Under Scrutiny, analyzed the regulation and oversight of the 167,000-mile system of hazardous liquid pipelines crisscrossing the United States. I just stumbled across an interesting bit of news. China and ExxonMobil may do business together in Chad. I said, “may,” not “will,” but this could be a significant development. It is fascinating the way information about the Chad-Cameroon pipeline is revealed. It’s really difficult to get interviews with government or oil company officials. I’ve tried off and on for months, to no avail. So for some information I watch what comes through the (state-run) press. Nothing is straightforward. Items often appear about events that occurred months earlier, for seemingly no reason, but sometimes interesting little nuggets of information are mentioned in passing. The article, basically highlights from the October 2010 Pipeline Steering and Monitoring Committee report, began with details on the quantity of oil that had transited across Cameroon during the first ten months of 2010, along with information on the transit fees. Apparently less oil was pumped in 2010 than in 2009. Okay. Chances are if you weren’t following the pipeline story you wouldn’t even read beyond the headline. Yet, several paragraphs down, the article contained some intriguing information. Another year comes to an end, and along the Chad-Cameroon oil pipeline not much has changed. Well there are new mosquito nets, but besides that you will be hard-pressed to find any positive developments for local populations. The government of Chad continues to collect oil revenues, but apparently is unable to use them to benefit Chadians. Of course the time for believing that the country’s oil wealth would be put to good use is long gone, but it would still be nice to be surprised. With both parliamentary and presidential elections scheduled in 2011, perhaps Deby will decide to put some of the country’s oil money (approximately US$ 5.7 billion earned from project start to July 2010) towards development. More likely, however, Chad’s oil money will continue financing arms and the military. Deby increased military spending by an astonishing 663 percent between 2000 and 2009, made possible, of course, by oil. And with new Exxon drilling, as well as the Chinese oil projects in the country, there will be plenty of oil money for the foreseeable future. In Cameroon no one expected the pipeline to bring much wealth to the country (pipeline earnings account for somewhere between 2 and 4% of the Cameroonian budget), and it is unlikely that anyone was waiting for oil money to be spent responsibly. But people hoped, and were assured by the project partners, that the pipeline would not make things worse. Unfortunately, for too many people living along the pipeline, life is harder today than it was before oil arrived. But there is some encouraging news: the U.S. legislation passed this summer requiring S.E.C. registered extractive industries companies to disclose all payments to governments is an important step towards increased transparency. Transparency is not an end in itself, but is part of an equation that will hold governments accountable and increase the chances that resource revenues are spent wisely. As I said, Chad has elections in 2011 and so does Cameroon (a presidential election in October). Neither Chad nor Cameroon are known for being democratic and there’s no reason to be overly optimistic. However, it’s an interesting moment in the history of “françafrique” and the ongoing electoral crisis in Ivory Coast may very well have implications throughout the region. In a few weeks Ghana’s first oil will ship and lately the news coming from Accra has been less than encouraging. There’s been a lot of talk the past few years about making oil revenues work for the Ghanaian people (with references to avoiding Chad’s problems), but now that the country is moving from talk to action there’s cause for concern. Below is an article from IRIN (UN). The flooding in Chad and elsewhere in the region has been getting far too little coverage in the Western media. Many areas in Chad and beyond are experiencing a level of rainfall and flooding that hasn’t been seen for 50 years. Chad has suffered through several years of drought and although the rains may provide relief in some places, flooding is wreaking havoc in many parts of the country. Villages and farms have been destroyed; flooded fields are particularly worrisome in Chad where hunger is already a problem. The tragic irony: All the oil money in the world can’t prevent torrential rain and flooding, and given the likelihood that the floods are related to global climate change, oil may be in part to blame for the situation. The question now, however, is whether the government of Chad has — or will — use its oil revenues to improve the country’s infrastructure. Improved sanitation, roads and the construction of canals and dykes are critical moving forward. WALIA, 17 November 2010 (IRIN) – Scores of families recently displaced by flooding in the Chadian capital N’djamena face a daily struggle against local thugs, wild animals, a lack of toilets and night winds that knock down makeshift tents. The Chad government announced in late October that it would relocate thousands of people hit by flooding when the River Chari burst its banks, but any such move will take time; in the meantime families whose homes crumbled are just getting by – new hardships adding to what were already tough living conditions in their neighbourhood of Walia. Oil, an opportunity for economic development or a curse for African countries? That question is the subject of a recent radio panel on RFI (Radio France Internationale). It’s a two-part feature, in French. One of the invited guests, Gerard Magrin, is a Chad specialist who has written about southern Chad’s transition from cotton fields to oil fields. Speaking of farming, the subsistence farmers of Chad would have certainly benefited from an end to U.S. subsidies for American cotton farmers. Instead they got oil. That’s “development”. 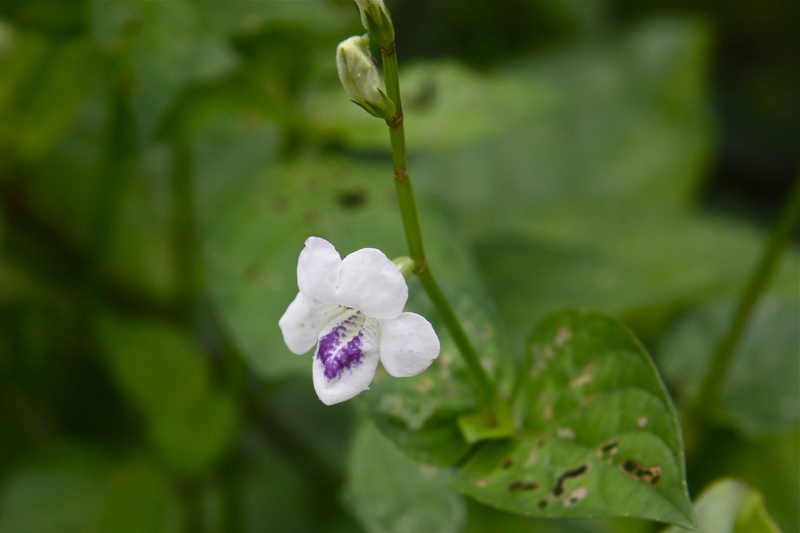 You can read more about how U.S. subsidies hurt African cotton growers in a recent Guardian article, “The Great Cotton Stitch-Up”. Transparency International has released its 2010 Corruptions Index. Chad ranks among the ten most corrupt countries in the world. Cameroon has made some progress — just a few years ago the country was at the bottom of the ratings — but is still mired in corruption. Corruption was a problem in both Chad and Cameroon before Exxon began drilling. Organizations opposed to the World Bank’s involvement in the project warned that rampant corruption would certainly impact any poverty alleviation plans. They were right, but the World Bank knew this, too…which brings us back to the Bank’s crackdown on corruption. You can stop doing business with companies that bribe officials, but as long as those officials operate in a culture of impunity you’re not reducing corruption. I recently posted an article about anti-corruption efforts at the World Bank. I found the article interesting and the efforts of the Bank worth noting. However the fight against corruption has to go a lot further than crackdowns on bribery to be effective. If the Bank really wants to fight corruption, it has to work towards a cultural shift, supporting capacity-building measures that can help countries move away from a culture of impunity and towards the rule of law. Worse, at times it appears that the Bank plays a double role: crackdowns on bribery and fraud on one hand, enabling projects that reinforce the status quo on the other. This is significant news from the World Bank so I’m posting the entire Guardian article below. I tend to agree with the author’s assessment: this is an important step in the right direction, but there’s a long, long way to go. I’m looking into non-compliance on aspects of the loan agreements with Chad and Cameroon that have not been effectively enforced. Avoiding obligations—with no apparent consequences—is not corruption. But it certainly doesn’t help advance the rule of law. And what better for corruption than a culture of impunity? I’ll be posting more about this soon. It will have 250 staff operating out of 150 countries and sounds like Ian Fleming dreamed it up. Yet the International Corruption Hunters Network (ICHN) is not something out of a James Bond novel, but the World Bank‘s latest initiative for stamping out bribery, fraud and the pilfering of money designed to alleviate poverty. The idea is a good one. There are countless individual agencies around the world dedicated to stamping out financial crime: pooling their expertise should make it more difficult for the venal to get away with it. And not before time, since the taxpayers who last year provided the $70bn-plus spent by the World Bank in the field need to know that their money is not finding its way into numbered Swiss bank accounts or swelling the profits of unscrupulous companies. Hardly looks good. Chad remains desperately poor, 18% of the population risks going hungry and the government can’t pay its bills. All this despite the benefits that oil brought to the country. The World Bank-supported Chad-Cameroon oil pipeline looks a lot different on the ground than it does from offices in Washington, D.C. Is the project a success? Depends who you ask! One thing is certain: the controversy surrounding the “model” oil development project has hardly died down. 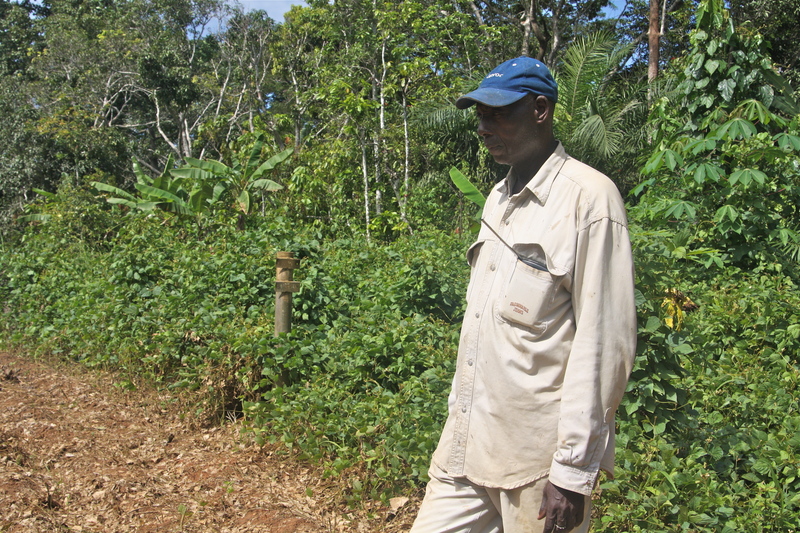 This video looks at ongoing compensation problems around Kribi, Cameroon. The Cameroonian Oil Transportation Company, COTCO (ExxonMobil), is responsible for compensating locals for lost lands and revenues. Traveling from the fishing village of Bumé where locals have been suffering since pipeline construction crews destroyed their fishing grounds, to the Bagyeli pygmy villages in the rainforest, where the Bank-mandated, “Indigenous Peoples’ Plan”, has been stalled for years, I met one angry resident after another. Today people are especially frustrated as they feel they have no recourse. The government is unresponsive; COTCO (ExxonMobil) is unresponsive. There’s nowhere for people to go with their complaints. It seems the world has forgotten about the Chad-Cameroon oil pipeline. I’ve recently returned from Washington, D.C., where I was able to interview World Bank and other officials about the Chad-Cameroon Oil Development Project. I’m now editing some video sequences and will post material soon. Fragile existence. This is the story of life along the pipeline. Whatever happens to the global economy, the price of the barrel or ExxonMobil’s profits in 2010, life here will remain difficult. But the oil won’t stop flowing any time soon and as long as the pipeline is operational, there are opportunities for progress. Peoples’ voices will be heard, their stories shared. Increased awareness, increased transparency, pressure from stockholders – these are all real possibilities that can lead to change. Oxfam has been actively involved in efforts to promote transparency in the extractive industries, for example, and recently launched a “Follow the Money” campaign. 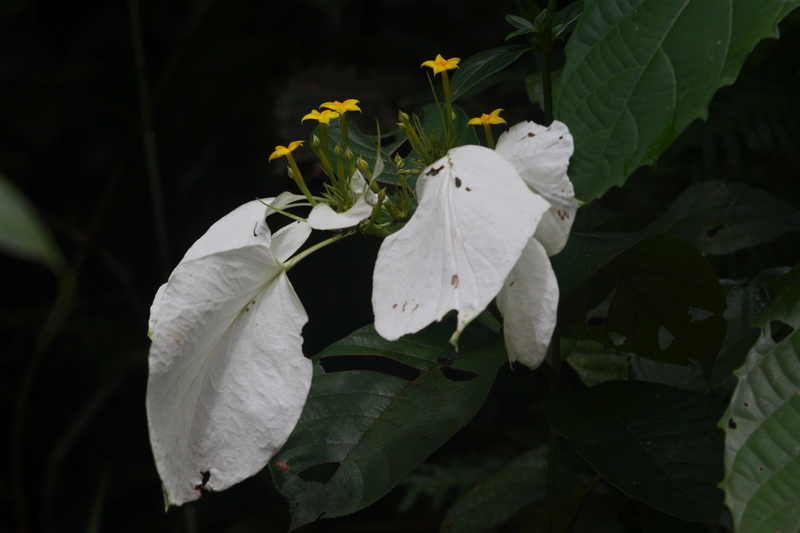 The Extractive Industries Transparency Initiative is moving forward. Of course any change on the ground will be minimal at best, but let’s all work to make 2010 a year with a bit more social and environmental justice where it’s needed most. 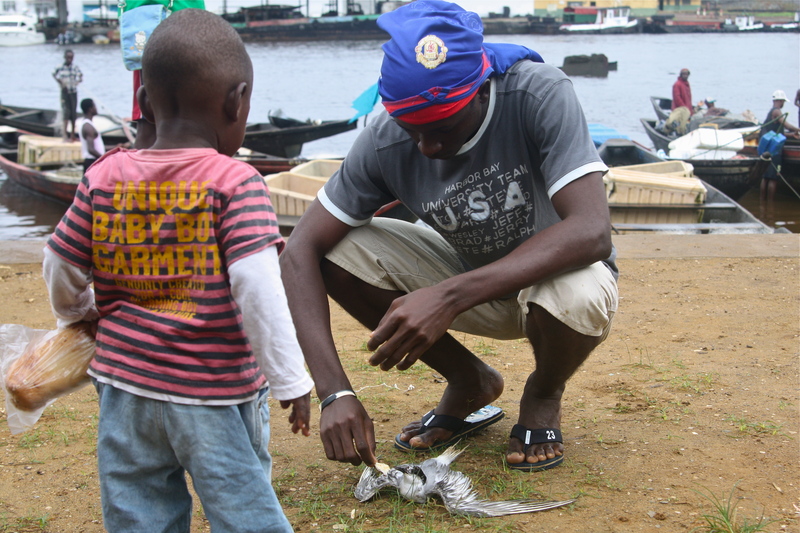 Fishing in Kribi isn’t what it used to be. There are certainly multiple reasons for the decline in fish stock, but everyone here singles out the pipeline as the main culprit. 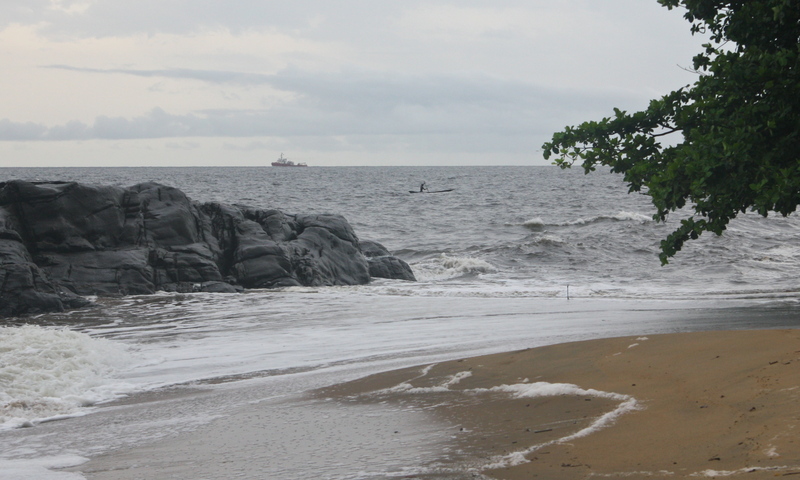 The pipeline cuts right through the middle of the coastal village of Bume, just south of Kribi, on its way to the marine loading terminal 12 kilometers offshore. The residents of Bumé, who depend entirely on fishing, blame the pipeline for killing their livelihood. 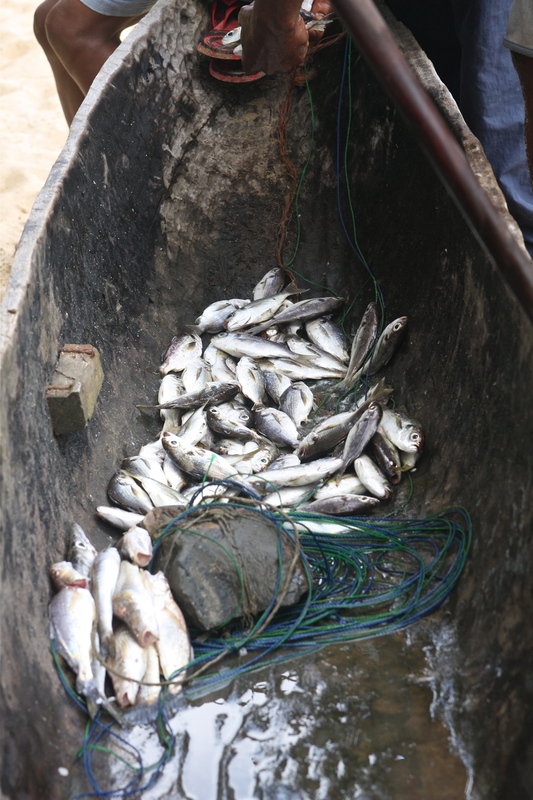 There are two types of fishing in the Kribi area and the pipeline impacted each differently. 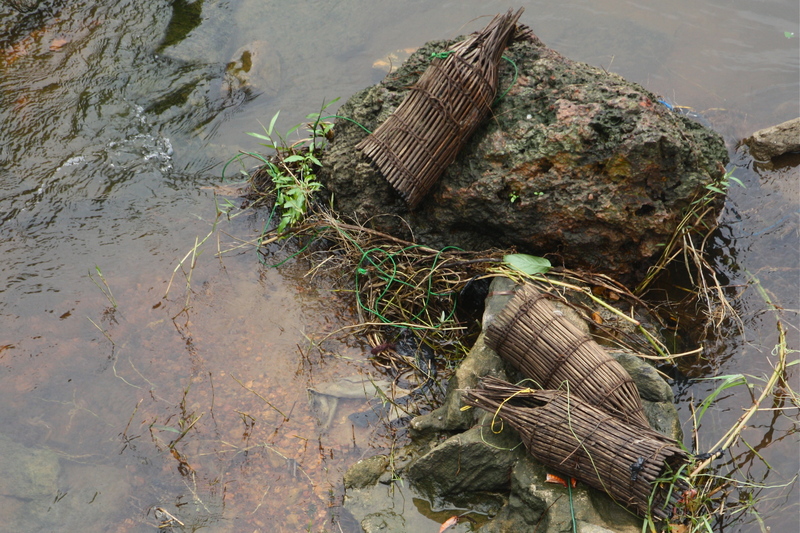 The hardest hit are the small, village fisherman — like the residents of Bumé — who put their nets out just offshore. These fishermen do not have motor power; they paddle their small dugout canoes out to sea and are unable work more than a few kilometers from shore. They used to catch the fish that lived in the reef just offshore. That reef was blasted away during pipeline construction and the fish have never come back. Using their traditional fishing methods, local fishermen now pull in only a few kilos of fish at a time. Sometimes, they pull in nothing at all. As I mentioned in an earlier post, the initial pipeline plans did not include the destruction of the reef. As no one from ExxonMobil would speak to me, I could not find out why this, a significant environmental impact, was not not part of any early reviews. The shallow waters of the coast here are lined with rocky offshore reefs and the Bumé reef was clearly visible. If any local fishermen had been interviewed, they would have talked about the importance of the reef for local fishing. 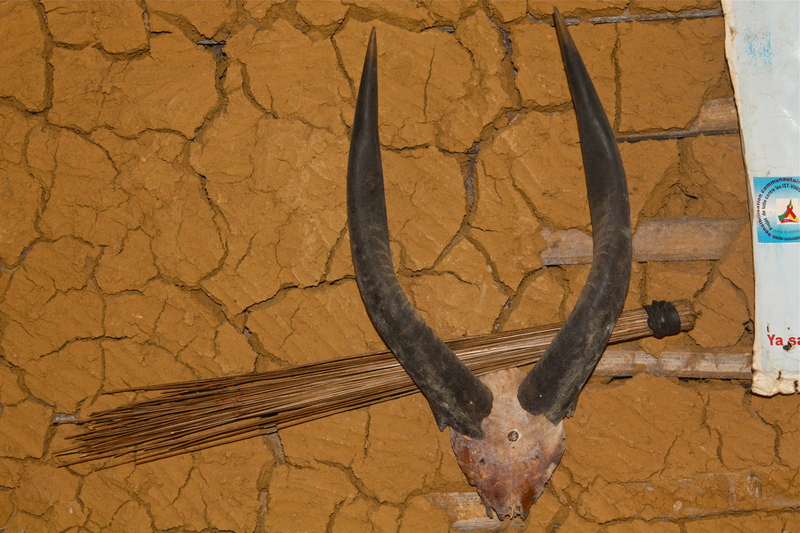 Godefroy Edzoa is the traditional chief of Ekabita. 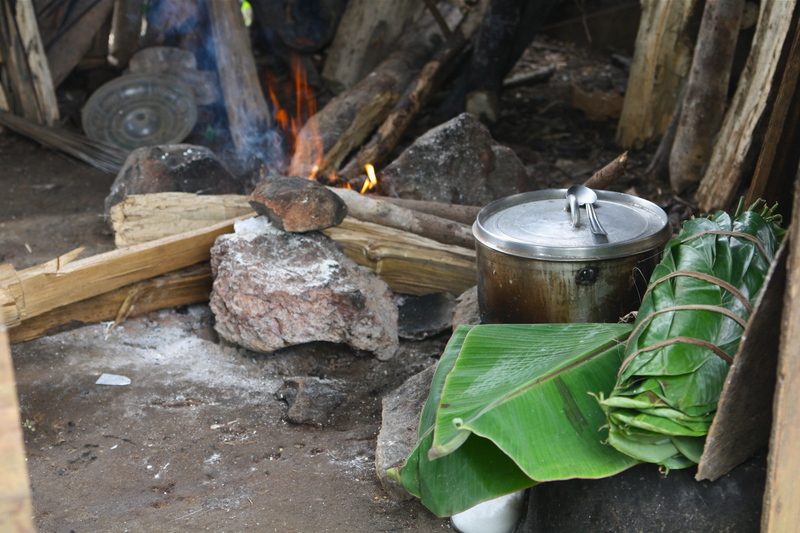 The pipeline crosses straight through the fields of Ekabita where people grow cocoa, avocados, mangoes, safou, papayas, and a variety of crops including bananas, corn, cassava, squash and peanuts. Edzoa tells me that when the pipeline people came to Ekabita, they told residents there would be compensation for damaged crops. They also said that once the pipeline construction was completed, residents could farm their lands again. However, no fruit trees could be planted on the 30-meter wide easement, as tree roots could damage the pipeline. Farmers were told that the easement would be cleared several times a year, probably after harvests, but were given no firm details. Even today farmers can not tell me exactly when the easement will be cleared, as the calendar seems to change each year. Nov 10, 2009 | Categories:Cameroon, Chad-Cameroon oil pipeline, Oil | Tags: Africa, agriculture, Cameroon, Chad, Chad oil project, Chad-Cameroon oil pipeline, ExxonMobil, oil | Comments Off on What’s a Tree Worth? 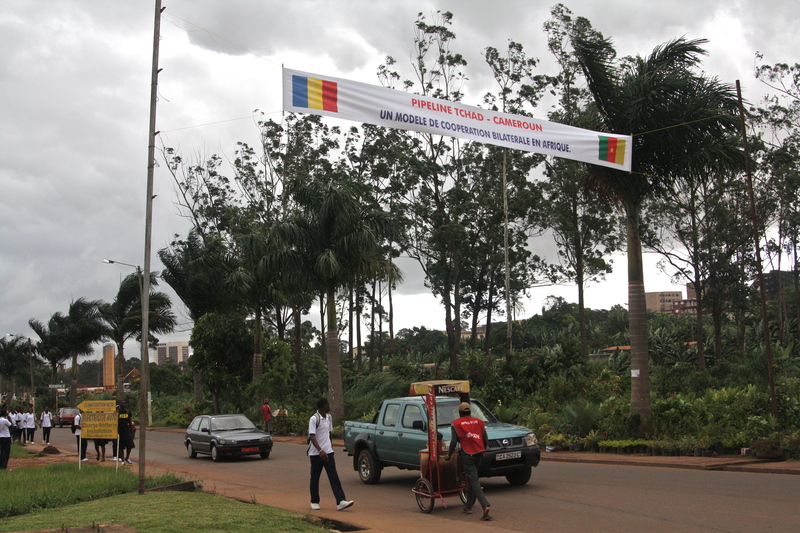 The President of Chad, Idriss Deby, made a surprise visit to Yaounde on October 28th. As the visit was announced only 24 hours before Deby’s arrival, the private press was full of speculation on what urgent matter brought Deby to Cameroon. Officially, Biya and Deby held a short, private meeting to discuss bilateral cooperation and the receding waters of Lake Chad, an item that both countries will bring up at the Copenhagen climate conference. Unofficially, the corruption scandal at the Bank of Central African States, in which a Chadian minister may be implicated, as well as the renegotiation of pipeline contracts, could have been items for discussion.